Want a custom plush stuffed animal that looks exactly like your pet? 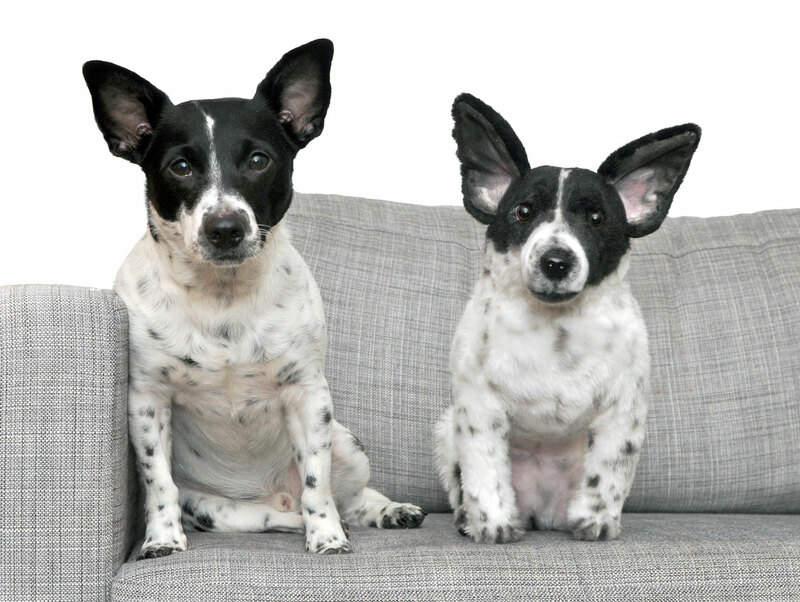 Cuddle Clones makes one-of-a-kind keepsakes that will make you do a double take! Plus, we’ve teamed up with this great company to bring you our exclusive Cuddle Clones promo code! Disclaimer: We received our Cuddle Clone in exchange for photography services, and I am absolutely OBSESSED with it! We also receive an affiliate commission if you purchase through our link or using our code: THEBROKEDOG. 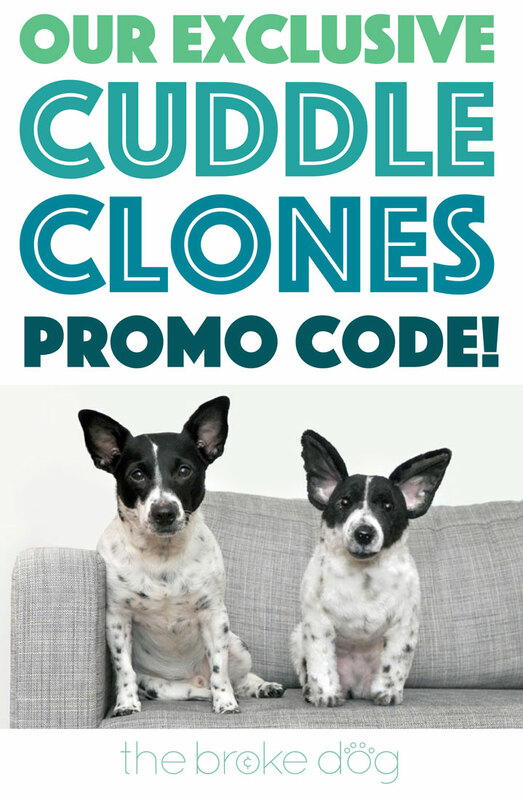 The Broke Dog’s Exclusive Cuddle Clones Promo Code! Did I adopt a second Henry? Nope, that’s just his Cuddle Clone, a one-of-a-kind plush replica. Realistic, isn’t it? Cuddle Clones, based in Kentucky, creates plush replicas, plush slippers, figurines, ornaments, and more to look like any pet you choose! Dogs? Of course. Cats? Cats, too. Horses? Yep. Fish, rabbits, and guinea pigs? You bet! In addition, they also offer personalized memorials for the special pet who is no longer with you. When I first discovered Cuddle Clones, I knew I needed one! You may know that Henry is dog reactive — while it’s something we are working on, it can be very, very difficult to bring him to events and gatherings where other dogs might pop out of nowhere. I attend pet-friendly events like BlogPaws, where I am unrecognizable to attendees who are so familiar with Henry’s cute face. What’s a dog blogger to do? Get a Cuddle Clone! 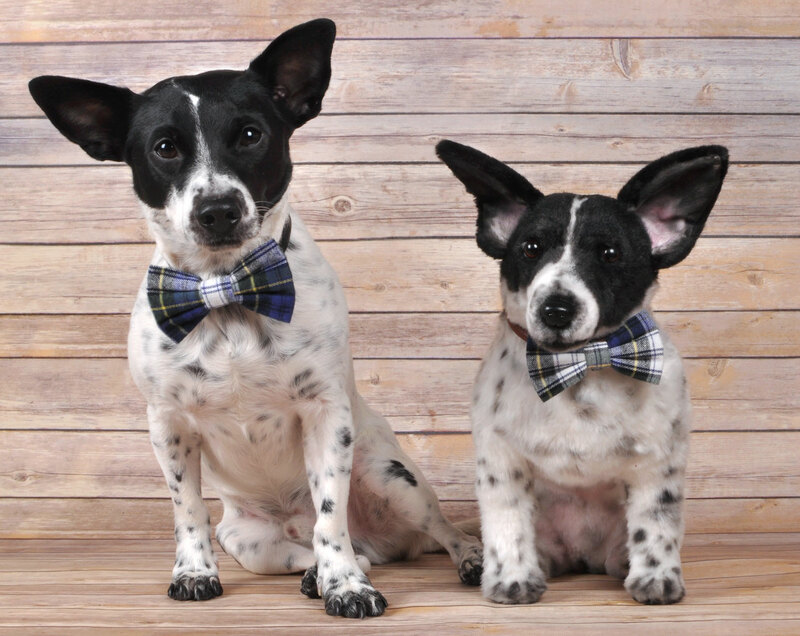 In addition, Cuddle Clones has donated thousands of dollars to animal rescues and causes. What’s not to love about that? Get Your Own Cuddle Clone! Cuddle Clones sells custom products starting at $79 for a memorial, and the stuffed replica retails for $249. Are Cuddle Clones cheap? Nope. Do they make amazingly personal gifts, and possibly the best gifts EVER? Yep! 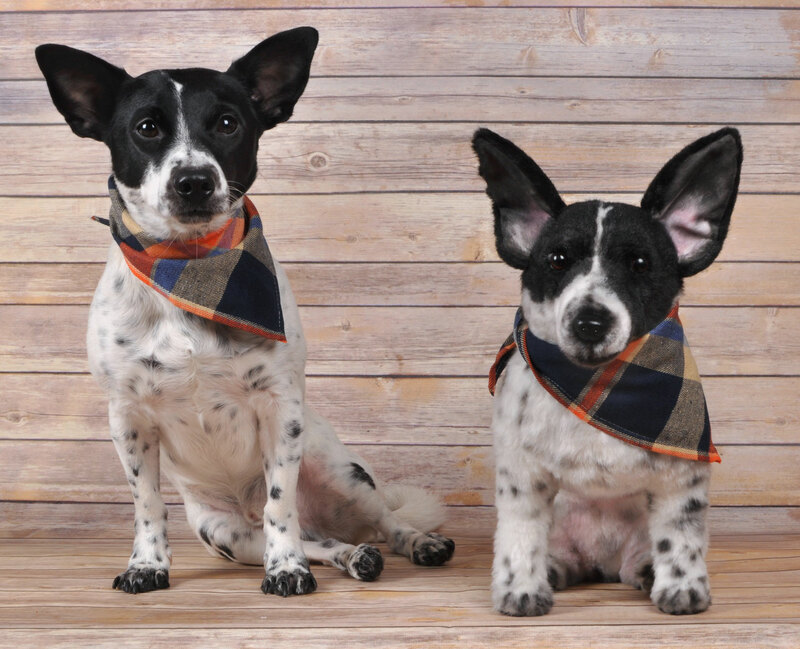 That’s why we’re partnering with Cuddle Clones to bring you a discount: 10% off your purchase if you use the code THEBROKEDOG. It may be a splurge, but it’s one of the best splurges ever. Which Cuddle Clones product would YOU choose?